The first pitch of the 2011 World Series will be thrown at 1.05 a.m. in the early hours of Thursday morning UK time. Whether it amounts to a late start after keeping awake thoughout Wednesday evening or a very early start if you get some sleep beforehand, it’s a moment not to be missed. The 2011 climax to the regular season was one of the most spectacular and dramatic of recent times and the first two rounds of the postseason have been full of excitement too. Everything points to the St. Louis Cardinals and Texas Rangers serving up a fitting end to a great year. The Texas Rangers are making a return trip to the Fall Classic after losing out to the San Francisco Giants last year. They have been driven on by the disappointment all season, determined to make amends and secure the organization’s first World Series at the second attempt. They have that experience to draw on and will be keen to get off to a quick start in the series. Winning one, or even both, of the first two games in St. Louis before heading back to Arlington would always be the objective; however it may be even more important than usual for this Rangers team. If they fall behind, the memories of their 2010 heartbreak could turn from being a motivation to being a millstone around their necks. “How do you wind up in the World Series when you’re 10½ games out with 31 to play, when you’re 8½ out in September, when you’re 7½ out with 20 to play, when you’re three games out with five to play? There are teams that have come close to pulling off a finish that wild. No team has ever done ALL of that. Trust us. We’ve checked”. After the improbable way in which they captured the National League Wild Card, the Cardinals just kept on going. First they dispatched the Philadelphia Phillies, the team most people tipped to be the World Series winners, before beating the Milwaukee Brewers, who had finished six games ahead of the Cardinals to win the NL Central division. The risk for the Cardinals is that logic dictates this fairytale has to come to an end at some point. The Texas Rangers have a fearsome batting lineup that could wake them up with a thump and so far it seems that the majority are predicting that they will – just – prevail; however maybe the Cardinals have destiny on their side. Or at least a lucky squirrel. “It’s crazy where we are right now,” said Dotel, standing there with a champagne bottle in one hand and his “lucky squirrel” in the other. “I don’t know how to explain it to you. But we’re in the World Series, man. And I hope my squirrel don’t let me down”. Nuts? You bet, but that’s par for the course in what’s been an unbelievable season. All that’s left is to crown the champions and in many ways that’s the best bit of all. All of the games are currently scheduled to begin at 8.05 p.m. Eastern Time, which makes for a 1.05 a.m. start time for us in the UK. TV coverage of every game is provided by ESPN America. BBC Radio 5 Live Sports Extra will be broadcasting the whole series live on Digital Radio and on the BBC website (for UK residents only), with Simon Brotherton and Josh Chetwynd covering the games from across the pond. 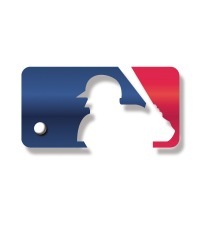 Subscribers to the MLB.TV service on MLB.com can watch or listen to all of the action live or on-demand online. The Guardian website will be providing a live blog from each game (former ‘Baseball on 5’ presenter David Lengel has been sharing the postseason blogging work with Steve Busfield and Michael Soloman) and the MLB on 5 Live Facebook page should offer plenty of opportunity to discuss the action as it takes place. I shall be sharing my thoughts on the World Series here and on Twitter. My MLB predictions are notoriously terrible (prior to the season my World Series lineup was the Twins and Braves, at the start of the playoffs it was the Rays and Phillies) so Texas Rangers fans will be disappointed to learn that I’m predicting the Rangers will win the series 4-2. As with every year, my main hope is simply that the series goes six or seven games and we’re treated to a great contest, regardless of who is celebrating in the end.